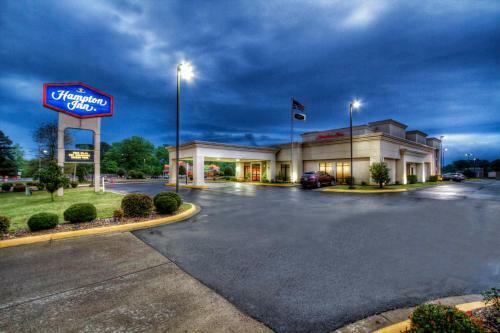 This Hampton Inn is located in the foothills of the Ouachita Mountains in Arkadelphia, Arkansas. It has an indoor pool and a breakfast buffet is served every morning. Rooms at Hampton Inn Arkadelphia are furnished with seating areas and work desks. Each room has access to free Wi-Fi and cable TV. Hampton Inn Arkadelphia has a business center and fitness center. It offers a wide variety of amenities, including coin laundry and meeting facilities. DeGray Lake State Park, a popular place for fishing, swimming, and biking, is just over 2 miles from the Arkadelphia Hampton Inn. Arkadelphia’s two colleges, Henderson State University and Quachita Baptist University, are both about 5 minutes away from the hotel. the hotel Hampton Inn Arkadelphia so we can give you detailed rates for the rooms in the desired period.